Slay the Spire is a deckbuilding game I have become mildly obsessed with. It has roguelike elements, some of which (the powerful “relic” system) remind me of what I love about Nethack specifically and which very few roguelikes indulge in (but that’s another post), and one of them is a potions system. You have a specific number of potions you’re allowed to carry at a time (the number of which relics can augment); potions have a one-time effect; and you can buy potions in the shop alongside cards and relics. Potions generally come in two varieties: potions that affect your character and potions that do something to your enemies. For example, a strength potion might give you 2 strength for the duration of the current fight, whereas a weak potion might apply the “weakness” debuff to an enemy. When you play a potion that affects your character, there’s a sort of “glug” sound effect that implies your character drinks the potion. When you play a potion that affects your enemies, a sound effect and animation occurs that implies you break the potion’s glass vial, presumably in a way where the contents touch your enemies. 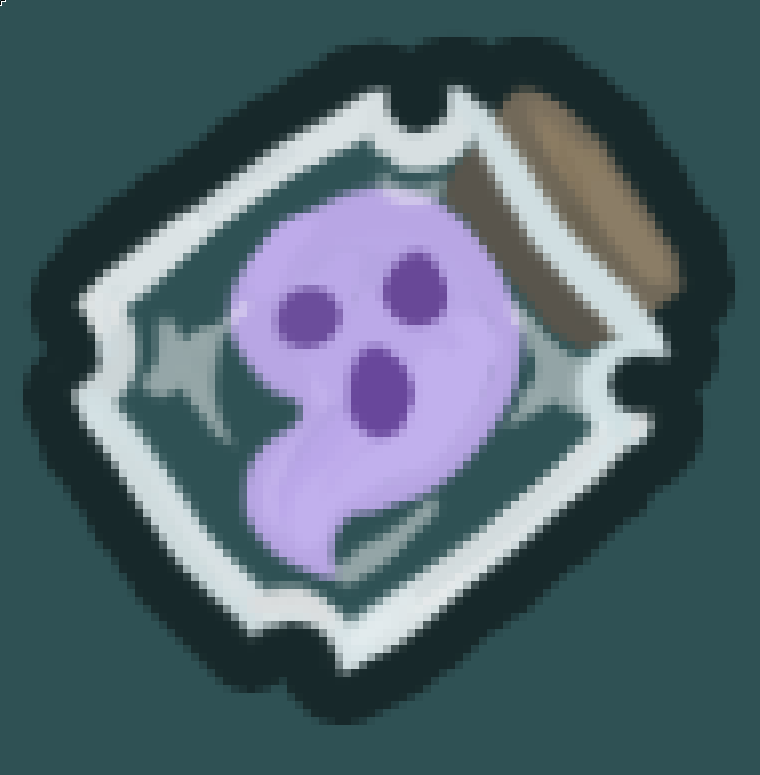 Ghost in a Jar is a potion that affects your hero. It applies the buff called “Intangible”, which reduces any number of damage you take for a turn to 1. Let’s go back to the start of that explanation: Ghost in a Jar is a potion that affects your hero. As stated before, when you play a potion that affects your character, there’s a sort of “glug” sound effect that implies your character drinks the potion. When I use the ghost in a jar, do I drink a ghost? DO I DRINK A GHOST????????????? ?